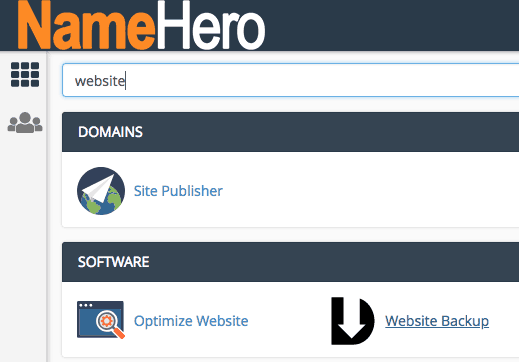 At NameHero we backup all cPanel accounts for our Web Hosting and Reseller Hosting customers nightly free of charge. These complimentary backups include one-day’s retention and cover accounts up to 100,000 Inodes and/or 20GB of disk usage. If you use more space than this or want more than one-day’s backup retention we’ve integrated directly with DropMySite to allow this. 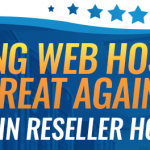 It’s our goal to offer the fastest and most affordable cloud web hosting on the Internet therefore we give you the option to add more backups rather than cramming them in the price of the package. 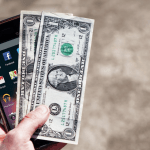 How Much Are DropMySite Backups? These prices are per month which you can see are very resonable. 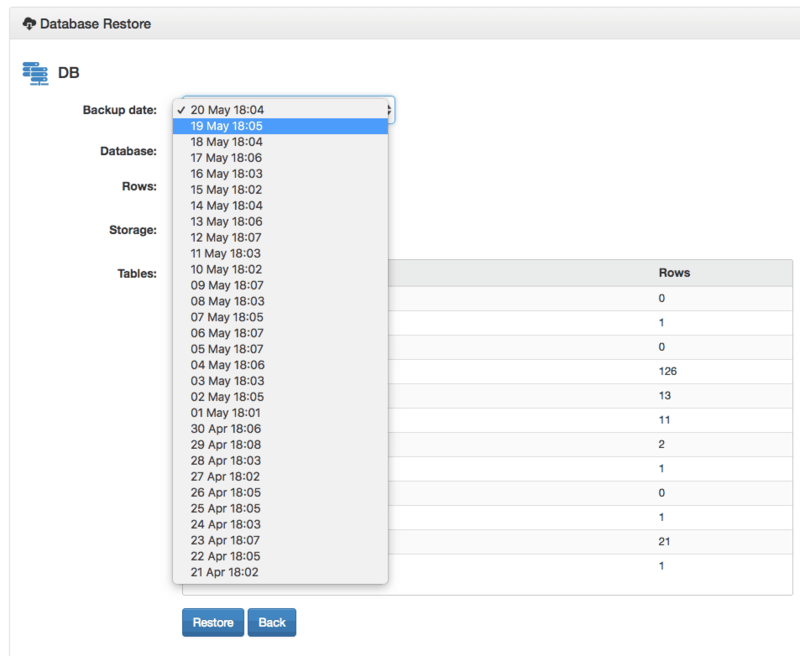 You can also upgrade at anytime, so as your usage increases, you can also increase your backups. 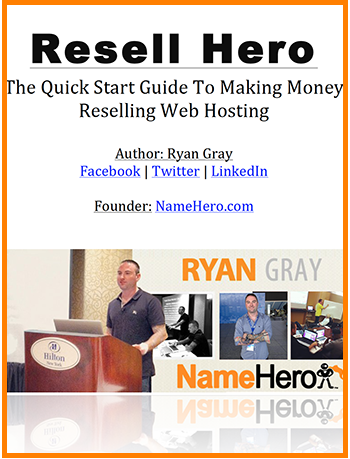 If you already have a hosting account with us, you can follow this tutorial to add DropMySite to your account. 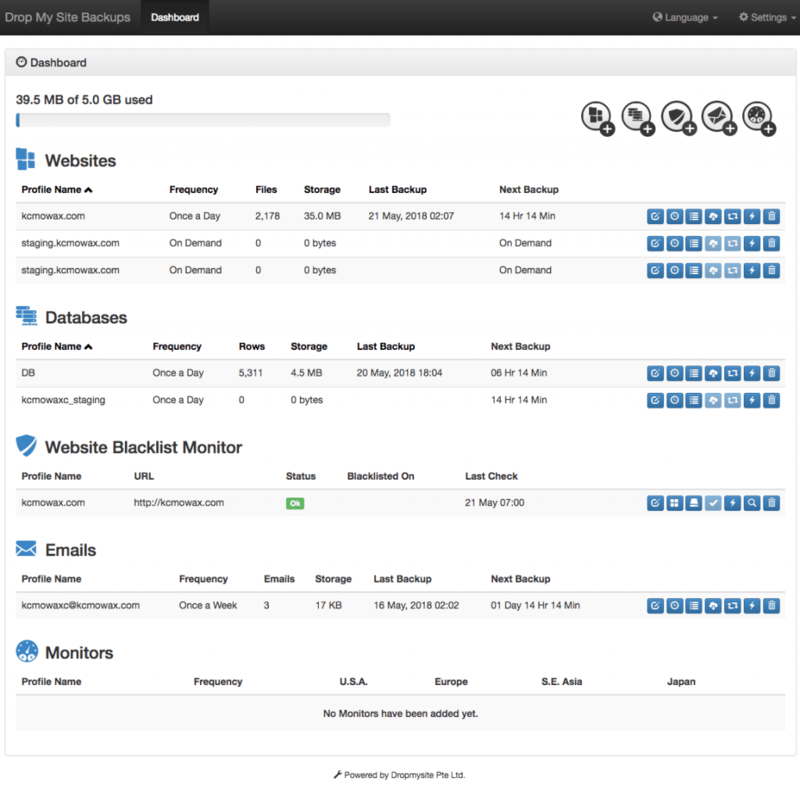 Where Can I See The DropMySite Backups? All of the websites, databases, and email accounts inside your cPanel should be automatically listed here once you’ve had an account longer than 24 hours. If you don’t see them, make sure to reach out, so we can check your connection. 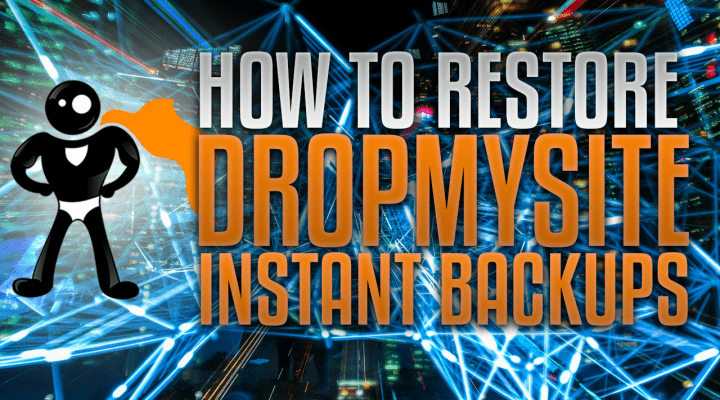 Restoring the backups made by DropMySite is extremely easy! 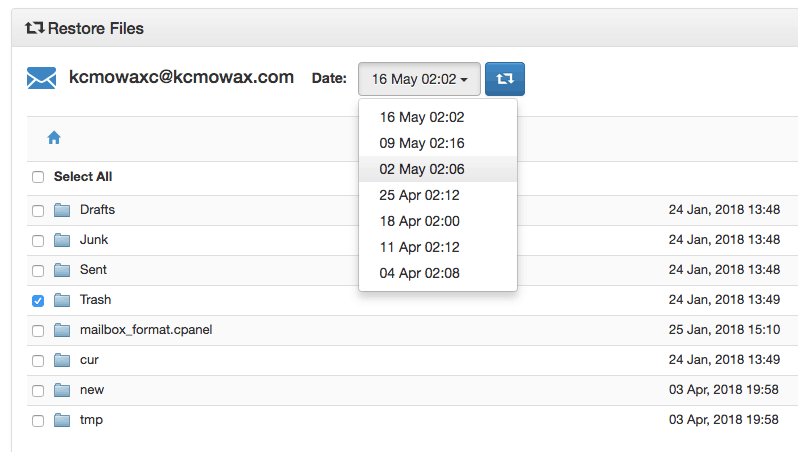 Once the file(s) are selected, the date is defined, you can then click the restore button to begin. You’ll also notice a drop-down for Restore to. This is helpful if you’re trying to restore your files to a new domain or staging area. Once you click Restore it’ll take a couple minutes to complete. The larger your website, the longer it will take to restore. The status bar will show 100% once it has completed. 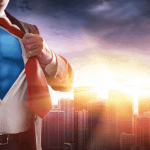 If you’re restoring a WordPress backup (or another application that utilizes a mySQL database) you may also need to restore the corresponding database. 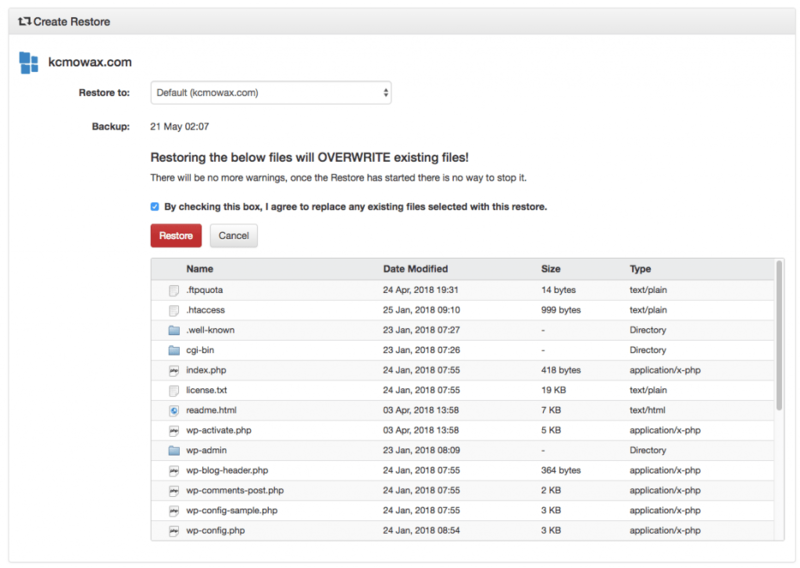 For example, if your website breaks when you update WordPress, you’ll not only need to rollback the files (shown above) but you’ll also need to rollback the database. 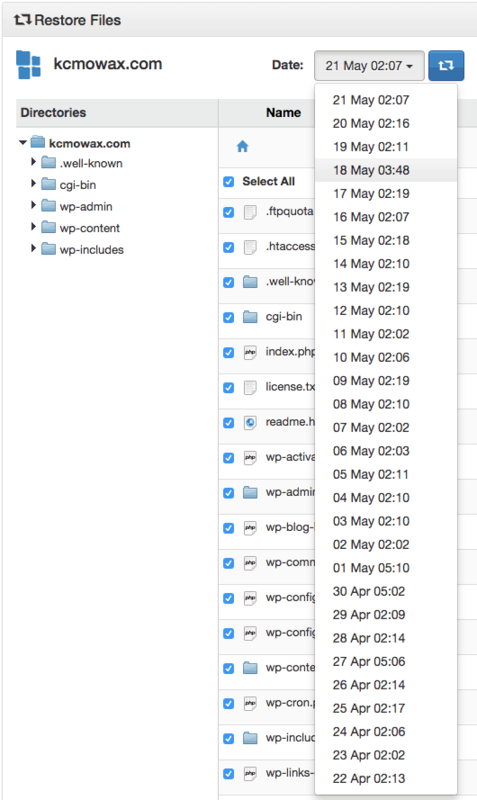 If you’re unsure of your database name, you’ll need to open up wp-config.php inside your File Manager to get the name of it (especially if you have more than one database on your website). Remember, if you’re fixing a failed software update, it’s important to select a backup of the database prior to the upgrade. 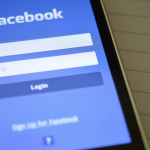 It’s also important to note your database is where all your posts, pages, and other settings are stored. If you’ve made any edits after the date of the database restore, they will be lost, so proceed knowing this. As with the files, once the database restore begins, it may take some time depending on the size of it. 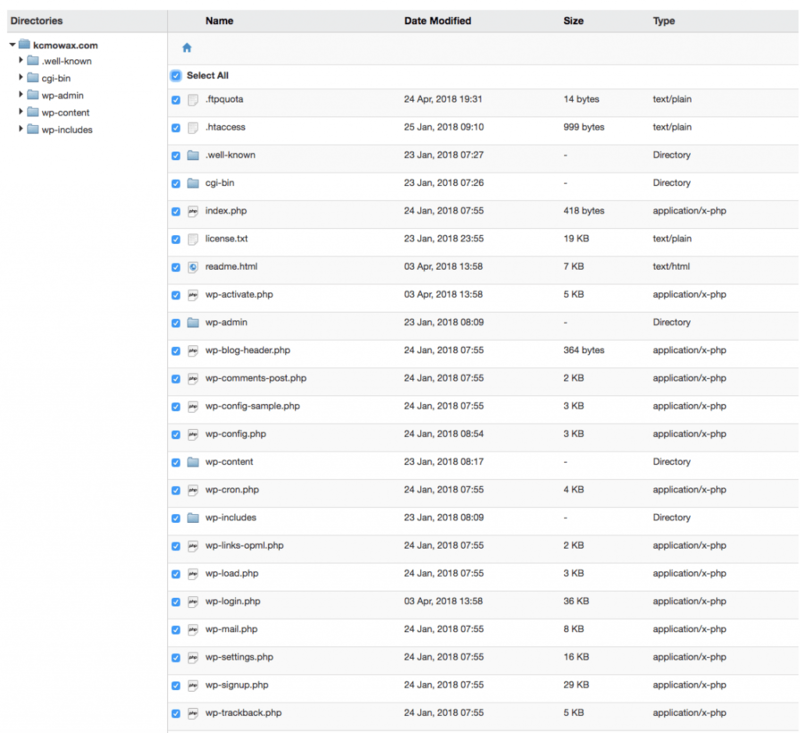 One of my favorite features of DropMySite is the ability to backup all of your emails. I cannot tell you how many times I’ve accidentally lost a very important email. This is useful if you’ve deleted the message as it will ensure you don’t lose any new messages. If you have any questions, please feel free to let us know! 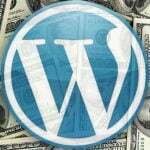 Additionally, you can learn more about adding DropMySite to your account here.